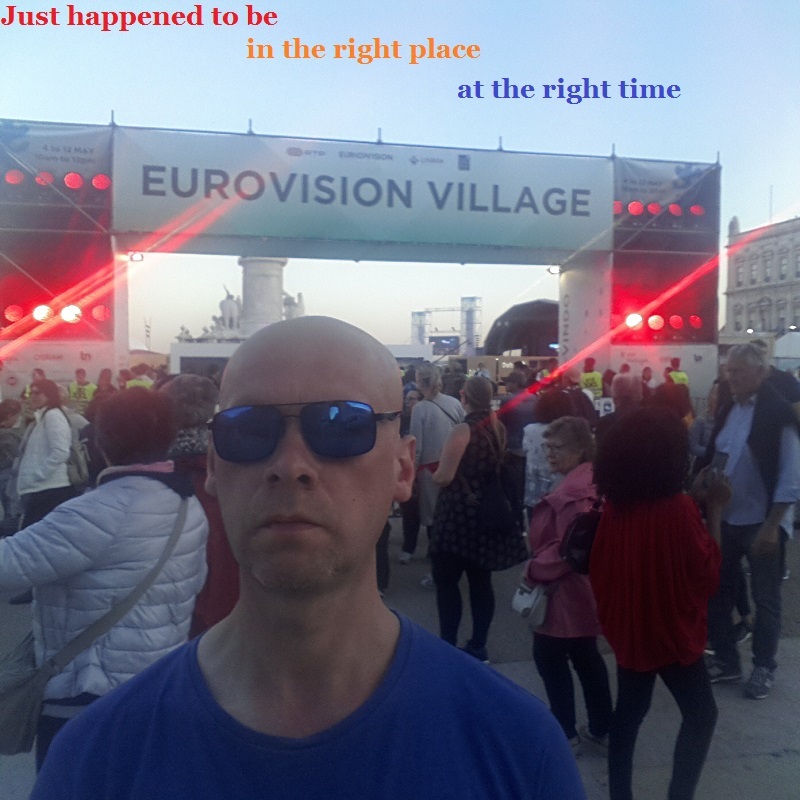 Yesterday evening I went to the Eurovision Village in Lisbon. When I arrived here in Portugal I didn’t realize Lisbon was hosting the Eurovision Song Contest 2018. Although I used to a really big fan of Eurovision 30 years ago, I lost a lot of interest in it when most of the countries began singing in English. I prefer hearing people singing in their own languages. Last year 35 of the 42 songs were sung in English, but Portugal won the Eurovision Song Contest with a song sung in Portuguese. It was good to see a country win with a song sung in a language other than English. It gave me hope for the future. A couple of weeks ago I went to Lisbon for a night out, noticed all the Eurovision Flags and realized I was I’d unconsciously chosen to move to the area at a very good time. Then, on Saturday, when I returned to Lisbon to take a cable car ride, I saw the Eurovision Village had been set up in on of the squares. I wanted to check it out but was determined to take my first cable car ride. By the time I returned, waited in the queue and got inside, the only music was the music provided by DJs. I’d missed the Eurovision singers. I think I heard the Portuguese singer while I was waiting in the queue. When I was younger, I always planned to go to the Eurovision Song Contest. It was a forgotten ambition. Standing in the Eurovision Village brought it back to me. Unfortunately, I will be in Faro on the day of the final, so there is no point in trying to get hold of a ticket, but I could not resist the chance to see some Eurovision singers performing. There were no Eurovision singers scheduled for Sunday, but four groups had been scheduled for Monday. It was an easy decision. I did some extra work on Sunday, finished writing earlier than normal yesterday, and went to Lisbon. There were four Eurovision groups present. I liked them all and the Hungarian group was very heavy metal. I enjoy heavy metal, but I have other musical tastes as well and the Serbian group Balkanika was my favourite. They sang in their native language using a style that is very different to most of the other songs I hear these days. The group also sang a Portuguese version of “Nova Deca”. That seemed to go down well with the crowd. Perhaps next year, I’ll plan a visit to the country that wins this year and join the crowd at the final.